Am three-fourths of the way through David Mitchell’s Black Swan Green, which I’ll be reviewing in a few days. Mitchell has been one of my favourite contemporary novelists ever since I finished his last book Cloud Atlas (review here). One of the motifs running through that dense, complex novel (which was made up of six novellas, each split down the middle, told in six different styles) is the subjugation of one set of people by another; the six stories illustrate the many ways in which power and control are perpetuated. In comparison Black Swan Green is a much simpler read, but like Cloud Atlas it is concerned with dominance and hegemony – this time in the context of a young boy encountering various threatening aspects of the world around him. Set in 1982 in a small Worcestershire village, this is the story of a 13-year-old, Jason Taylor, dealing with the many terrors of adolescence: a stammering problem that means he has to pre-test each sentence for “danger-words”, a group of bullies at school, the incomprehensibility of the news filtering in from the world beyond the village (including the Falklands War between England and Argentina), and the dark clouds that have started to gather over his parents’ marriage. Black Swan Green is extremely vivid in its depiction of how lonely and frightening the world can be for a precocious and/or overly sensitive child. Intelligent children are particularly vulnerable, not just to the cruelty of other children but also to that impossible-to-defy power wielded by adults – wherein children, no matter how much they know or how mature they might be at an early age, are expected to stay within well-defined limits, not argue with adults about anything beyond a point (because then it becomes “back-answering”, even if the child is being politely insistent); essentially, “behave like a child”. I asked what not liking the taste of sprouts had to do with adolescent discontent. Mum warned me to stop being a Clever Little Schoolboy. I should’ve shut up but I pointed out that dad never makes her eat melon (which she hates) and Mum never makes Dad eat garlic (which he hates). She went ape and sent me to my room. When dad got back I got a lecture about arrogance. The above passage, and a few others in the book, touched a chord. As a child, when I got interested in certain subjects I would single-mindedly pursue them for months, read as much as possible about them. This resulted in a comprehensive knowledge of those topics (around the time I was 12 the Mahabharata was one, 1930s and 1940s Hollywood was another) and I got a lot of grief if I happened to correct something an adult had said during a discussion on one of those subjects. Initially they would just look through me as if I wasn’t there, or perhaps smile that horrible, patronising, indulgent smile adults employ to let children know how insignificant they are. But if I supplied proof to back what I’d said (lugging across my Leonard Maltin movie guide, for instance, to show an aunt that Kirk Douglas, not Charlton Heston, was in such-and-such film), the mood would shift to one of near-resentment: how could a mere child have the temerity to show up an adult? Children are expected to believe that adults, simply by virtue of being adults, have a special perspective on the world, which cannot yet be shared or even questioned. But things are usually more complex and uncomfortable than that, and often have more to do with the most primitive of human instincts: the need to dominate, to enjoy someone else’s helplessness. - Calvin & Hobbes: No, I’m not trying to take the fun out of Bill Watterson’s great series by subjecting it to over-analysis (though I do occasionally baulk when I hear people say “Calvin is sho shweet” or “such a loveable brat” in that familiar patronising tone). Calvin & Hobbes is, first and foremost, a very enjoyable comic strip. But it doesn’t take too much effort to see the subtext: an extremely smart, lonely kid building fantasy worlds that are much more immediate and compelling than the real world, with its many constraints. - Two short stories: Saki’s haunting “Sredni Vashtar”, about a terminally ill child named Conradin, his tyrannical guardian who is determined to deny him every little pleasure, and the polecat-ferret Conradin keeps at the back of the garden; and Roald Dahl’s “The Wish”, an incredibly compelling tale about a little boy inventing a game to be played on a colourful carpet in his house: he has to cross over to the other side by avoiding the reds (which represent fiery coals that will “burn him up completely” if he touches them) and the blacks (which are poisonous serpents). Dahl’s great achievement here is to make it completely irrelevant that this is just make-believe; by the end of the story, the dangers of the carpet are as real to the reader as they are to the child. - L P Hartley’s The Go-Between, about a young boy who becomes a messenger (and a pawn) in the clandestine love affair between a brusque farmer and young noblewoman – with both of whom he has a strong emotional connection. - And oh well, there’s The Catcher in the Rye and The Bell Jar, but is there really anything left to say about those? I also think of the flashback sequences in Federico Fellini’s film 8 ½, the scenes of Guido’s childhood: the mysterious chant “Asa Nisi Masa”; the scene where Guido and his friends go to meet a prostitute who is depicted as a giant of a woman, threatening and exaggerated in her sexuality (which is how the adult Guido would remember her); the enormous portraits of saints looking down on and berating Guido in his Catholic school – everything made larger than life, more intimidating. Am halfway though it myself, and -- odd though this may sound -- it's almost like one of Richmal Crompton's William books rewritten by Nigel Slater (in his best 'Toast' style). Not odd at all. I thought of mentioning the Crompton books myself, but I've only read two of them - so avoided saying anything. Black Swan Green is out! *hops* I want it! I want it! I hate and love that my favourite authors are coming out with books this summer. On the one, obvious, hand - more Mitchell and Nagarkar and so on. On the other, I feel compelled to buy huge hardback copies, rendering myself considerably poorer, because I feel I should support them. I've loved David Mitchell since he published #9 Dream. I read that and Ghostwritten multiple times (although I haven't found Ghostwritten anywhere in shops either). I was exceedingly irritated by Cloud Atlas. David Mitchell, I thought to myself, you with your youthful good looks and romantic Far Eastern forays, you have gone too far this time. Your cleverness is devastating, but your contrivance irks me to fling out my hand, for my face wishes not to listen! What makes me excited about the premise of BSG is the thought of him returning to the figure of the loner youth, which should give him enough scope to display his abilities for compassion and empathy instead of his overly well-established capacity for 'look ma, a three-ring literary circus!' antics. There's always To Kill a Mockingbird. Oh, and don't forget Tom Sawyer. And Huckleberry Finn. Let's see - Faulkner has a bunch of stuff that uses a child's perspective, if memory serves: there's a hunting story called the Bear, and isn't part of The Sound the Fury told from a child's perspective? Then there's the starting section of Portrait of the Artist. And Ralph Ellison has a collection of short stories called Flying Home, which has some really brilliant stories about children playing about (one in particular that involves a fiery rooster and some chickens is just heartbreaking). Plus there's Member of the Wedding. And Capote's Other Voices, Other Rooms. Actually, now that I come to think about it, this whole child's perspective thing is a pretty common trick with novelists from the Southern US, isn't it? Oh, and isn't there a Chekhov short story that follows a baby around on it's walk through the city? And another one about a boy crossing the Steppes? I'm not sure I would include the Bell Jar though - Plath is hardly a child! Falstaff: I said "child or adolescent" - can probably stretch that by a couple of years. Also, what I have in mind is probably darker in tone than To Kill a Mockingbird - books/stories that don't feature adult figures of such integrity as Atticus Finch, hence allow the youngsters to feel even more alienated. Have been scanning my bookshelves for more examples. Let's see. Jai: Fair enough, though Plath is 20 and in college when Bell Jar takes place, isn't she? More generally, I think by that definition pretty much any Bildungsroman would qualify - Flaubert's Sentimental Education would make it, and Hesse's Demain. Not to mention the Adventures of Augie March. And perhaps (why not?) even the Magic Mountain. Oh, and let's not forget Proust - you can't do much better than Swann's Way. Finally, if you really want tortured adolescence - what about Clockwork Orange? Oh, and by Hobbit standards, Bilbo Baggins is pretty much an adolescent. I didn't read Cloud Atlas because it sounded scary. Six interconnected novellas dealing with different things, but with a common theme- it sounds a pompous- a little like Rushdie, whom I don't much like. But this one sounds much more accesible and since I've enjoyed a lot of the stories and books (and C&H, of course) you've mentioned at the end, I'll say what Roswitha did, "I want it! I want it! I want it". As always, a pleasure to read your reviews. Now, only to find the time to read the aforesaid book. Stephen King. I know now he's not the greatest writer to ever live, or even a particularly good one. But no one could have convinced me otherwise 13 years ago, when I was buried in It, and Misery, and Salem's Lot, and Cujo. He has this obsession with children and their power to transform reality in ways that adults cannot comprehend. His most obvious example being the little boy from the Shining. There are snarkier, creepier examples in It, and his goth books. You read his books, and you know King believes something very important is lost when we grow up. Robert Bresson's Mouchette is another example but thats an extreme one. ...and then, there's always Roddy Doyle's 'Paddy Clarke Ha Ha Ha'. sony pony: very good point. I haven't read as much King as I would've liked to, but based on what I have I'd disagree about him not being a particularly good writer. I was thinking of mentioning the scene in Carrie where Carrie has her first period and is tormented by the other girls - though I was thinking more about the DePalma film than the King book. Also, wouldn't It be a good example of how intense childhood memories and experiences can be? Anirudh: Cloud Atlas is definitely pompous, and quite difficult in places. But large parts of it are utterly brilliant, expecially the "Ghastly Tale of Timothy Cavendish" and Zedelghem sections. Give it a go sometime when you have a lot of time on your hands. PrufrockTwo: *slapping my brow* yes, of course. I should have thought of that. 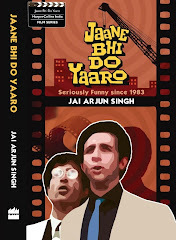 Specially given Jai's description of the book. "When I look back on my childhood I wonder how I survived at all. It was, of course, a miserable childhood: the happy childhood is hardly worth your while. Worse than the ordinary miserable childhood is the miserable Irish childhood, and worse yet is the miserable Irish Catholic childhood." Gerald Durrell - though that may be too happy for Jai's criteria. Does non-fiction count? There's Sartre's Words. And finally (I promise I'm going to stop) - the granddaddy of them all - Goethe's Sorrows of Young Werther. Strangely enough, the Durrell books do fit in a different sort of way. It's easy to think of his Corfu as a boyhood paradise lost, never to be regained - one wonders if he ever found anything so idyllic in his life as an adult. His Corfu is almost one big fantasy world - even if everything he described in those books was true. How could you forget the Alice books :)? Of course, they're not really books, they're the world. Another L.P.Hartley, "the Shrimp and the Anemone". A recent success, Mark Haddon's "The Curious Incident of the Dog in the Night-Time". "The Fallen Idol". Nicholson Baker's delightful "The Everlasting Story of Nory". Obscure but pertinent, Louis Zukofsky's "Little: For Careenagers". The truth? - Is that all that there is to it? Down pat? yes, there are books like this. yes, there are. see how smart we all are? see how we all know there are OTHER books like these? see how we desperately need to talk about the newest title first? it's because none of us has ever been to college outside delhi. yes, that's true. willothewisp: well spotted :) I don't often use that word these days - wrote that in a hurry. yours blog is a total treat! And dangerously so, coz I spend too many of my work hours reading, digging, plundering, through all your older posts! Yours are the only book reviews i enjoy reading -just the right balance between the intimate experience of reading and the broader analysis of a book, and NOT revealing plots! - though I don't agree with most of your views on books I've read (many of my reviews of these books read EXACTLY the opposite!). Hmm. Strange. But but but. Today, as i was delving into your previous posts with much relish, i read your review of ON@TCC. How? Why? Whaaaa..t? Need that MIB type zapper to induce selective amnesia regarding such reviews of yours. Another book is Alice Seobold's 'The Lovely Bones'. Brilliant opening line, "My name was Salmon, like the fish; first name, Susie. I was fourteen when I was murdered on December 6, 1973." The book tries to explore what happens to us when we die? Is it possible to view life while being on the other side of it? All this through the eyes of a 14 year old girl who is killed in the opening chapter of the novel. Peter Jackson is making his next film based on this book. There’s Michael Ende’s Neverending Story and Momo. In Stephen Donaldson’s fantasies, (The Mirror Of Her Dreams and A Man Rides Through; the entire Thomas Covenant series) their main—and dysfunctional—protagonists always find their way into a world that needs them. And if we’re talking adults, then Walter Mitty, Wodehouse, whose idyllic world will never go stale. Muriel Spark’s The Prime Of Miss Jean Brodie and Lillian Hellman’s play, Children’s Hour fall into a slightly different—though related—category. The bit from you’re taking about in Black Swan Green, where Jason has to read in front of the entire school, turns up as an extract in New Writing 13. It’s called Hangman, I think. Cheshire Cat: yes, I thought of The Shrimp and the Anemone, which is about children in a more direct way - though I thought The Go-Between was more powerful. Space Bar: Walter Mitty did come to mind a few times - like when Jason imagines an attack by Russian MiGs in his quiet town, and in a couple of other fantasy sequences. Shyam: talking about Peter Jackson, there's his early film Heavenly Creatures, about the fantasy worlds conjured up by two teenage girls who subsequently plotted a murder together - true story from 1950s New Zealand. There is this absolutely heartbreaking story...a child in the city writing to his grandfather. And dunno if you've ever tried the Lemony Snicket and Philip Pullman books...they are the perfect foil to happy-happy fantasy worlds created by children's authors. Childhood is a time fraught with danger! Oops! forgot to mention..that story's by Chekov. Oh come, come falstaff, angela's ashes is retrospective, not online - one's remembrances of childhood don't count (as we all know, retrospective utility is very different from online utility). personally, speaking of dark childhoods, I rather like that murder mystery, one of Agatha Christie's (Crooked House) where the narrator opens the child's diary (Josephine I think her name was, a beady eyed girl) to read "Today I killed Grandfather". Oh and in between all the Plathing and Prousting, has everyone forgotten those lovely bloodandgore Virginia Andrews books "Flowers in the attic"?? Couldn't help thinking of all those Russian novels that my Dad used to get from the mobile Vostok van. Books with bright covers and names, but the children were so lonesome and cynical. As if they knew what was coming in the form of Dostoevsky and Turgenev. Remember Chekov's little "Vanka"? Though coming to this comment rather late, I'm very happy to have discovered your blog. 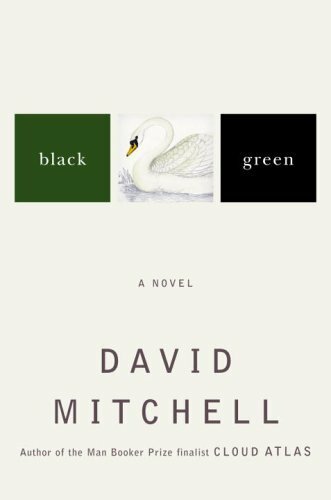 I'm less impressed than many by Black Swan Green, primarily because I read a great deal of YA literature and have difficulty with Mitchell's voice here. Yes, I can see - or at least I believe I can see - what he's doing, but it's not quite convincing, especially his use of metaphor to portray character development. There is a preciousness that doesn't ring true. Did you ever post an actual review of the novel? If so, I can't find it. Don't know if it fits the bill, Ruskin Bond's semi-autobiographical Rusty comes to mind. The loneliness of the little boy who's lost the only person he was ever close to and loved by, his father, is very poignantly portrayed. The boy's stoic acceptance of life with his mother and step-father, both of whom have little time for him, and his seeking recourse in nature and writing is deeply touching.